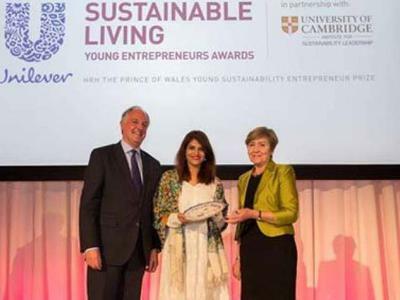 Dr. Sara Saeed a Pakistani Female Doctor wins the Prestigious Entrepreneurship Award - HRH The Prince of Wales Young Sustainability Entrepreneur Prize 2016. There is an absolute blockade for female entrepreneurs in Pakistan to make their mark in the community and in their respective fields. Dr.Sara Saeed co-founder of doctHERs’ not only solves these complexities, she is also an influence for others to provide quality healthcare to the indigent people of Pakistan. 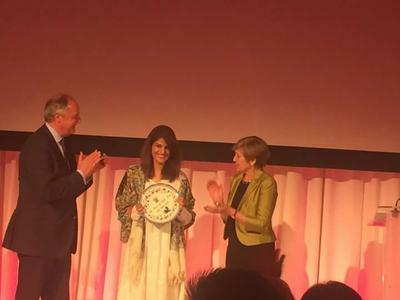 Recently for her achievements Dr. Sara Saeed was honored with the prestigious HRH The Prince of Wales Young Sustainability Entrepreneur Prize 2016. Through her devotion, this is the first time a female entrepreneur has won this honor. doctHERs is the program where you can connect with qualified female doctors using video conferencing. The winning constituent of doctHERs is that they are giving a platform for those women who are not practicing medicine due to social constraints or family pressures. By winning this award, it will help her to expand doctHERs in 20 more districts and in each of the four provinces of Pakistan. This young 29 years old lady aims to form the bridge which not only provides quality healthcare to the underprivileged but also reestablishes qualified female doctors into the work field. Dr. Sara Saeed has been bestowed €50,000 and she will be backed by a tailored mentoring program given by CISL and Unilever over the course of the year.